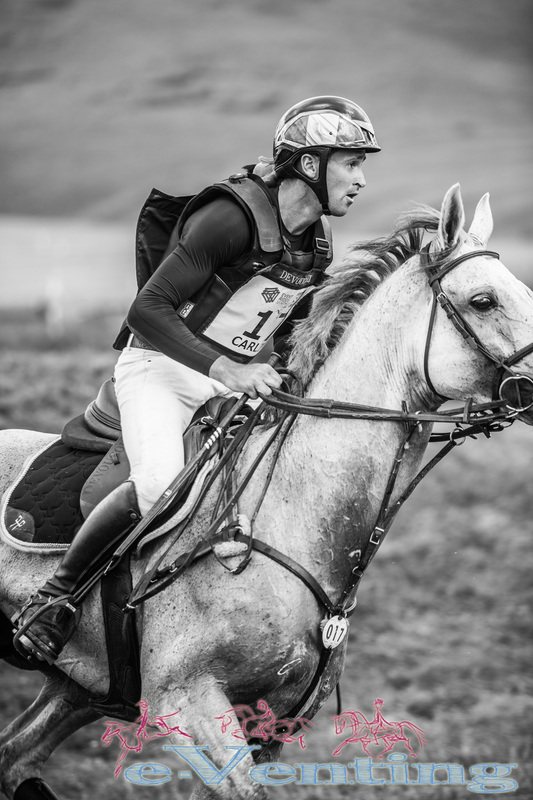 Sunday at Barbury was all about speed, and more who dared try to get inside the optimum time. 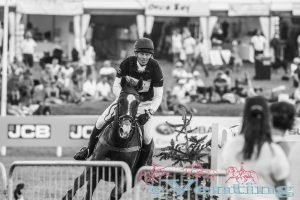 The CIC*** standard section started off with a positive start, pathfinder Tiana Coudray stormed round inside the time on Under The Clocks. 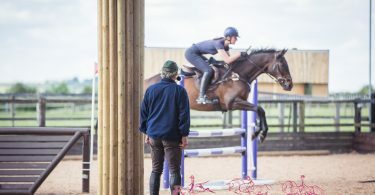 It soon though became apparent that Tiana’s efforts were not to be the norm, and combinations struggled to even get close to the optimum time with almost all riders through the majority of the class picking up time penalties in double figures. Tiana held on to the lead for quite some time until the final top 10 riders started on course. Pippa Funnell was the first to get close on Majas Hope but a costly one second left her 0.2 penalties behind Tiana for eventual 8th. Thomas Carlile was the first to go ahead on Vinci De La Vigne even with 8 time penalties but ultimately it would only be good enough for 6th. The majority of the remaining riders picked up the pace and moved up into the top placings but clears inside the time were still proving elusive. Oliver Townend didn’t take a pull round the course, and was able to bring Noteworthy in 3 seconds under the optimum time to move into the lead. He couldn’t stay there though as Andrew Nicholson chasing on his heels brought Swallow Springs in to give the 3rd round inside the time and therefore take the lead. 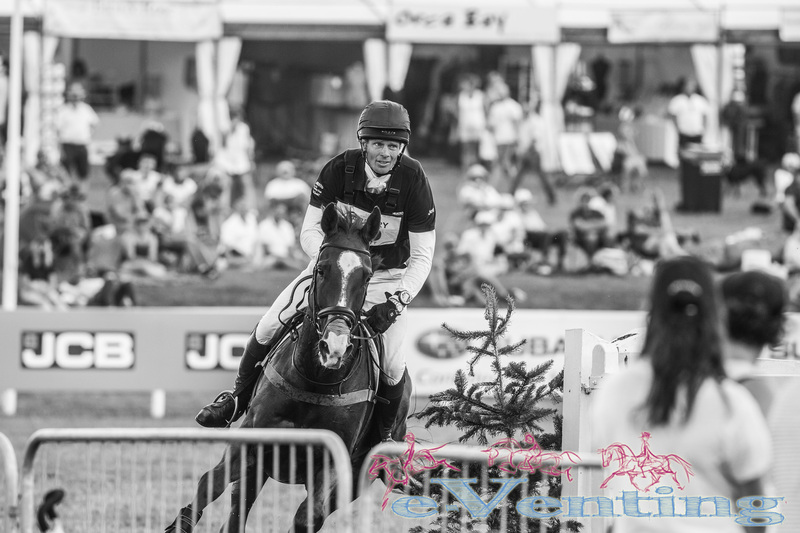 Kitty King then retired on course after faulting and Tim price picked up 7.2 costly penalties, dropping him to eventual 4th, meaning with overnight leader Tina Cook withdrawn only William Fox-Pitt, last to go could take the lead away from Andrew. William from the start was committed to proving he is truly back to his best. Despite today being only his second cross country run with Clifton Signature they looked a solid partnership and produced the goods. Although finishing 4 seconds over the time incurring 1.6 time penalties it was enough to keep them ahead of Andrew to take the title. This win now means William is qualified to enter Clifton Signature in future ERM classes (combinations must have completed together at CIC*** to be eligible), and this will surely be his aim for this season. The ERM section showjumped first thing with clear rounds proving the order of the day with only Jesse Campbell & Kaapachino and Alex Bragg & Zagreb dropping out of the top 10 when faulting. 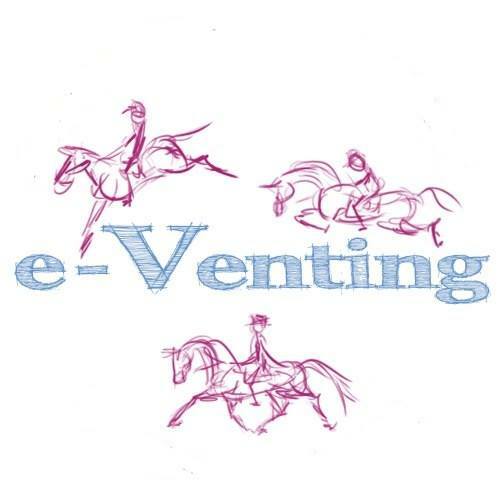 Unfortunately several riders, mainly those out of contention of a top 3 placing, decided the chalk ground was too firm and withdrew after showjumping, these included Oliver Townend, Tina Cook and Nicola Wilson among others. This resulted in only 26 of the 39 original combinations coming forward to start the cross country. The quality of the remaining field was extremely high with only 5 combinations faulting. Emily King (Dargun) and Austin O’Connor (Kilpatrick Knight) both picked up 20 jumping penalties dropping them down the order. The final placings, as per the CIC*** came down to speed, something Andrew Nicholson was critical of at the prize giving, saying the course was too soft for the level and it shouldn’t come down to who can go fastest. Ultimately only one rider could get inside the time which was Sidney Dufresne riding Tresor Mail. Their round from 9th after showjumping took them to occupying the top step of the podium and they managed to hang on for a fair few riders. 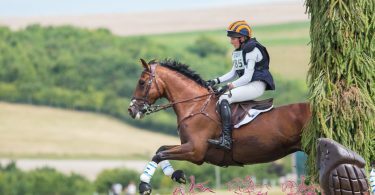 Gemma Tattersall on Pamero 4 and Pippa Funnell on Chippieh both tried hard but were just not fast enough to topple Sidney. 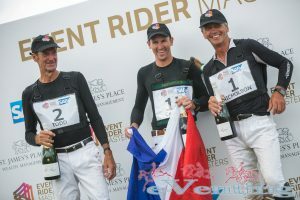 Mark Todd on Leonidas II was the first to move Sidney down a step when finishing 7 seconds over the time he was able to take the lead and try and get on a ERM podium for the first time. With Pippa finishing with time faults Mark knew he had finally got a confirmed foot on the podium the question now would be which step. Andrew could be a maximum of 15 seconds over the optimum time on his Badminton winner Nereo to stay ahead of Mark. He looked to be moving forward the entire course but not full speed and he eventually came in 14 seconds over the optimum time so pushing Mark down into 2nd. 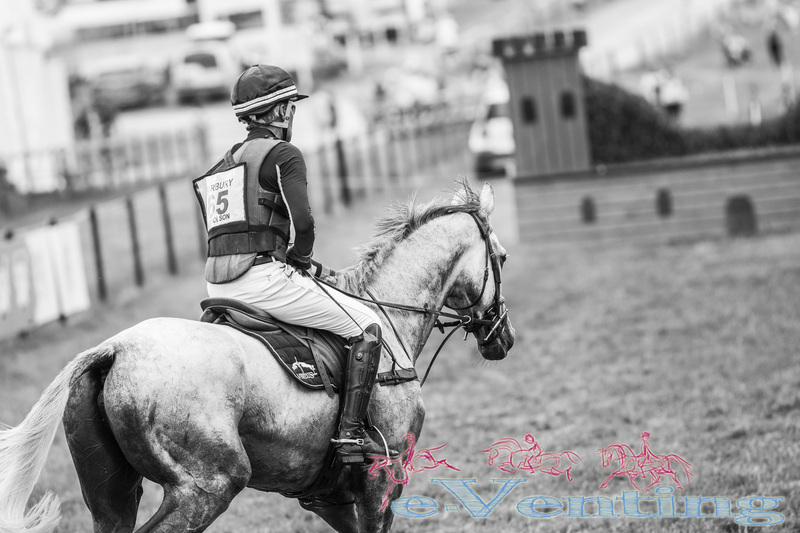 As he explained afterwards with Thomas having 10 seconds (4 time penalties) in hand before starting XC he wasn’t going to go full speed as there was no point in pushing Nereo inside the time when it would be unlikely to make any difference. Andrew was proved correct in this decision as Thomas Carlile was able to bring the stunning 9yo stallion Upsilon in only 4 seconds over the optimum time to finish 9.1 penalties ahead of Andrew. The combination ate up the course never looking in doubt. Their finishing score of 32.4 is a record score for ERM and they are the first pair to lead from start to finish. Speaking afterwards Thomas was keen to praise Upsilon explaining he is an exceptional jumper and very modestly, any mistakes are normally his own so he tries to let him get on with the job. You can catch up and watch all the action from the ERM section again at your leisure on the ERM website. We on the other hand are ever increasingly dreaming as to the possibilities of Upsilon’s future. We can say with certainty that it is most definitely bright!